The Tropical Water Slide stands 18 feet tall and 30 feet long. It features a 2ft water pool at the bottom for kids to create a big splash! 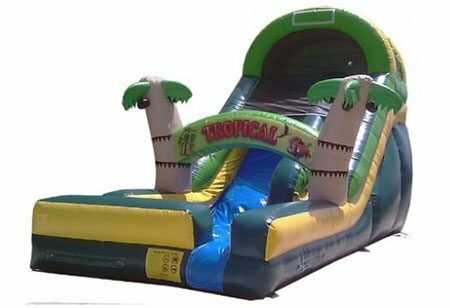 The Tropical Water Slide is great for Luau theme parties and any occasion where extreme fun is needed.